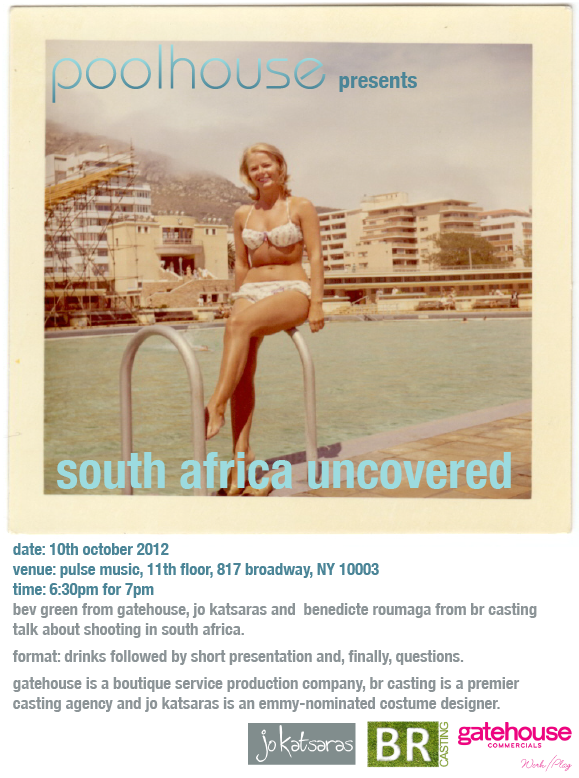 On Wednesday this week Bev is doing a presentation to The Poolhouse and other producers in New York about shooting in South Africa. The talkers will be Bev about production, Jo Katsaras about wardrobe and Benedicte Roumaga about casting. It’s going to be short and sweet and if you want to attend please email info@gatehouse.tv and be at Pulse Music (address: 11th floor, 817 Broadway) at 6:30pm for 7:00pm.